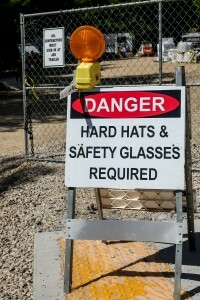 Since 1988 when the business was purchased from the Berghammer family, OSHA has not once cited or fined the company for a major safety violation. That safety record stems from a proven, three-pronged approach that is the foundation of Berghammer’s commitment to protect our employees, subcontractors, suppliers and clients. Written policies and training: All Berghammer employees are trained in — and must follow — standard safety rules, instructions and procedures. We enforce safety guidelines that go beyond OSHA standards and maintain a written policy to guide all our safety-related operations. Project-specific plans: The Field Superintendent prepares a safety plan specific to every project, and is the on-site manager responsible for assuring compliance by everyone working on your project. Independent audits: Berghammer contracts with the Associated General Contractors of Greater Milwaukee and other third-party providers for routine, independent site safety audits. By adhering firmly to this philosophy, Berghammer routinely has achieved an Experience Modification Rate (EMR) more than 30 percent better than the industry average. EMR is an insurance industry measurement comparing a company’s past cost of injuries and future chances of risk against the construction industry as a whole. Our approach also results in less disruption of the schedule, better productivity, more consistent processes and higher quality, all of which translate into a superior end result for your project at a more competitive cost.